This day long workshop will introduce participants to Irish Needlepoint Lace techniques. Students will be shown how to prepare the ground for lacemaking and lay the foundation for the study of 9 needlepoint stitches. They will also learn how to finish a lace sample and remove it from the backing. This workshop would suit anybody with an interest in Irish Lace. No experience is necessary but feeling comfortable holding a needle and thread is an advantage. By the end of the day, participants will have developed a good understanding of needlepoint lace and acquired skills to plan and complete further Lace studies at home. Fiona Harrington is an award winning lace-maker and textile artist. Fiona graduated with a degree in Fine Art from Crawford, Cork and Textile Design from NCAD. She has also trained with Kenmare Lace and Design Centre learning traditional Irish lace techniques including Carrickmacross and Kenmare Needlepoint. She received a number of prestigious awards including the Thomas Dammann Bursary, the RDS Graduate Prize and the Eleanor De La Branchardiere Award for innovation in Lace Design. Want to save money on our workshops and events? Become a patron of A4 Sounds and save up to 20% on workshops, merch and events at our gallery! Please note: Due to the running costs of workshops, refunds for all our courses can only be given if sufficient notice is given and we can secure a replacement participant. We are a small organisation and course materials and equipment are expensive! We are understanding and under exceptional circumstances we may be able to refund part or full cost of the course. 10 memberships available at our studio! We have added 5 new memberships to our studio and 5 have become available this month! If you are interested in joining 64 other amazingly talented artists and makers in a supportive environment then get in touch via our membership contact form! A4 Sounds is a interdisciplinary studio space and will suit cultural workers of all sorts that enjoy working in a shared environment and need access to a wide range of facilities over the duration of their projects. Our members include fine artists, designers, animators, writers, performers, makers, woodworkers and electronic engineers. If you are looking for an alternative to the traditional artist studio get in touch here! Our memberships are 50e per month. Members can add a personal locker for an additional 10e per month. This workshop is aimed at artists who wish to learn how to document their art work with their own DSLR camera. The workshop will focus on how to photograph 2d and 3d work; how to use the cameras manual settings; and how to make the most of available light sources. The class will have 5 participants to ensure each person has enough 1to1 time to learn about their camera and get the most of of the class. Kate is a photographer and video artist based in Dublin. As a commercial photographer Kate specializes in art documentation, product and architectural photography. Kate has previously worked as a photography technician in Crawford College of Art, Cork, and Ballyfermot College of Further Education. She now manages the photography darkroom at A4 Sounds Studios. We are now running workshops for our members. To kick things off, Paper Panther Productions are taking us into their studio and sharing some animation techniques. Kate O’Brien will be covering everything you need to know for darkroom basic in our newly set-up photographic darkroom. Meanwhile, the Maker.ie crew will continue offering workshops soldering and electronics basics. In the new year Jason Kearney will be running workshops on carpentry for artists, Gareth Stack will be sharing insights on storytelling with sound and radio documentary making,while Cal Folger Day will introducing us all to Piano and Keyboard. Our memberships start at €50. This gives you access to our shared facilities and workshops, and additional training can be arranged upon request. You can add a storage locker to your membership, available from €10. More info on member benefits here. You: Why A4 your prices are very reasonable! A4: I Know Right! Wanna join? We are taking applications for our new artist studio maker space. If interested please get in touch via our membership contact form. If you are interested in becoming a member please get in fill out our membership contact form. Coming later in the year at an additional cost you can gain access to our Recording Studio and Gallery & Event space. Technologist Lobo of autistici.org will be demoing his virtual reality goggles, Oculus Rift for us next Sat at A4 Towers. Apart from the fun factor Lobo wants to show those interested, the possibilities this immersive technology could have. Places are limited to ensure participants have enough time to explore a few realities! If you’d like to come along please please email A4Sounds@gmail.com to book a place. 5 euro suggested donation. All money goes towards running costs of A4 Towers. If you want to know more about the technology and what it can do, you can check out some of the links below. The workshop is free but if you can afford it there is a suggested donation of 5 euro to go towards studio running costs. Circuit bending is the creative short-circuiting & modification of the circuitry of kid’s toys or battery-powered musical instruments to create strange, outlandish, unintended, and unpredictable sounds. By building in controls, adding switches or knobs you can control these sounds to create new, unique instruments. If interested we would ask people to bring along a battery-powered, sound-making electronic device to tinker with. Charity shops are a good hang out for suitable devices! Not every toy can be bent, but in any event there’ll be some extra toys provided to mess with – and all tools and additional components will be provided. The workshop is suitable for complete beginners to the more advanced who wish to develop their skills. 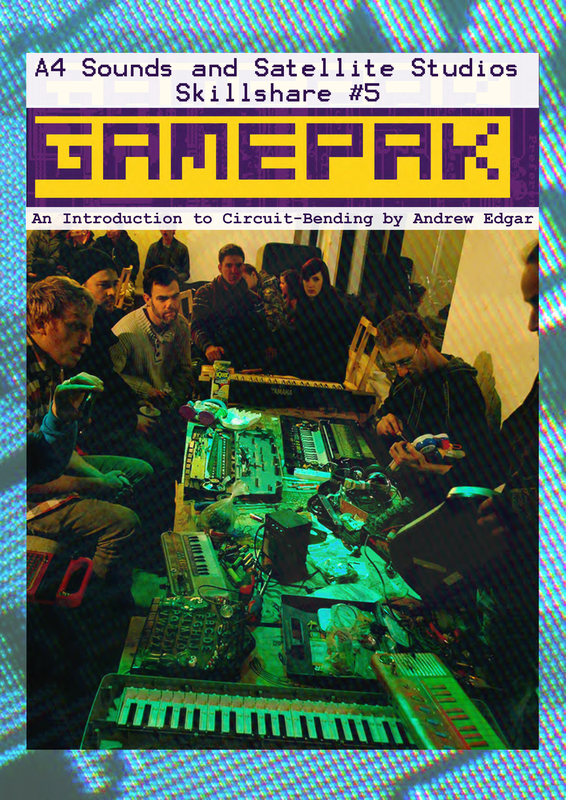 The workshop will open with a short introduction to circuit-bending as an electronic folk-art practice, moving on to a show-and-tell of pre-bent toys, followed some pointers on how to acquire likely devices or “ targets” for circuit bending, and what to look out for . We’ll then move to an exploratory bending session, where participants are invited to experiment with the toys or instruments they have brought along, seeking “bend points” in the circuitry which give rise to interesting sounds . The emphasis of this workshop is on exploration, experimentation and play, but will also look at circuit bending as a learning tool for understanding electronics and audio basics. The session will cover all the essentials of circuit bending, and there will be experienced facilitators to hand to help with soldering and other electronic needs. All welcome but spaces are limited so please reply to A4SOUNDS@gmail.com to book a spot. Wash Unit installed in the Workshop !!! Finally we have our wash unit for screen-printing installed in our workshop! We are pretty chuffed about it too. Just a bit of cosmetic work; tiling and perspex sides to attach and we’ll be complete. Thanks a million to Charlie for your all your hard work!